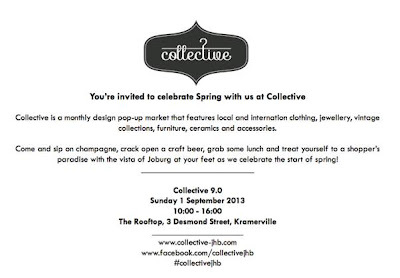 Its that time again when fashionistas shop in style at the monthly pop up market. This time its even better because we are welcoming spring in style...Shop while sipping on champers or enjoying craft beer on a roof top in Kramerville save the date 01.08.13. Dont say I didnt warn you.